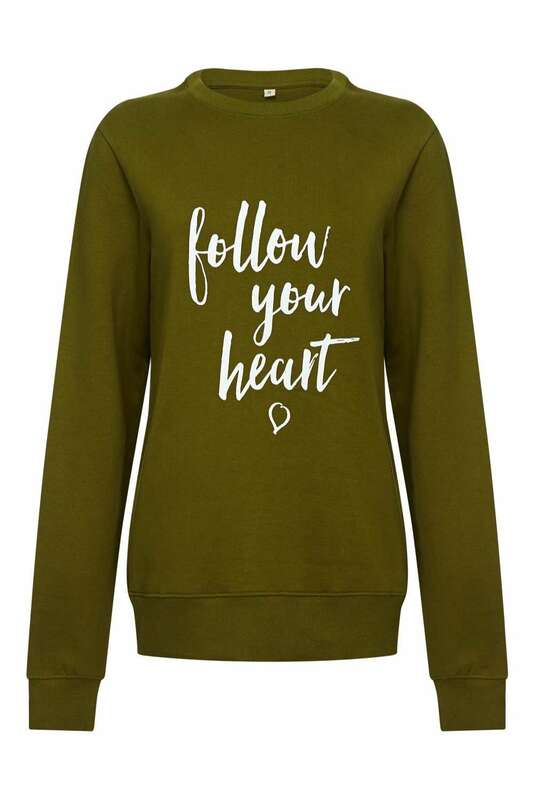 Yogaleggs Follow your heart slogan sweatshirt in Olive and White. Join us in following our hearts, doing what we love and listening to our inner voices. At the same time keeping stylish and staying comfortable in this cosy sweater. Suitable for yoga, pilates, running, barre, spinning, gym bunnies or perfect for a weekend getaway.